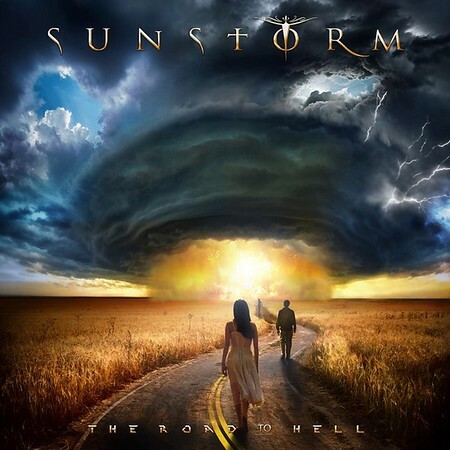 “Road To Hell” is the fifth album from Sunstorm, the band established by Frontiers Music to showcase the talents of former Rainbow / Deep Purple vocalist Joe Lynn Turner. Over the past 12 years the band has featured a number of musicians working alongside JLT on the albums. The latest album was released by Frontiers on 8th June. The lead-off single “Only The Good Will Survive” was featured on the Friday NI Rocks Show on 27th April and the follow-up single, the title track “Road to Hell” was included on the Show on 25th May. The first Sunstorm album was released in 2006 following discussions between JLT and Frontiers President Serafino Perugino. That self-titled album was followed by “House of Dreams” in 2009 and “Emotional Fire” in 2012. All three featured Pink Cream 69 members Dennis Ward (bass), Uwe Reirenauer (guitar) and Chris Schmidt (drums) as well as other contributors. The fourth album, “Edge of Tomorrow”, in 2016 featured a different line-up and a heavier sound. Three of the musicians from that album – Alessandro Del Vecchio on keyboards, Nik Mazzucconi on bass and Simone Mularoni on guitar – return for “Road to Hell”. They are joined by drummer Edo Sala. There are 11 tracks on “Road To Hell”; all written to emphasise the outstanding vocals of JLT as well as the skills of the musicians working with him.